Check out one of the homes our agents recently sold! Diana Mosca Dority sold this classic and cozy Ranch style home. The house has five bedrooms and four full bathrooms. The sprawling open floor plan is perfect for entertaining: gleaming cherry hardwood floors, updated kitchen, cathedral ceilings and fireplace in living room, propane gas fireplace, family/media room, in walk out lower level with wet bar, possible in-law, custom built ranch, oversized 2 car garage, farmer's front porch, whole house vacuum system, whole home audio speaker system, irrigation system and much more. The enormous whole-house length deck is great for relaxing and enjoying summer barbecues and sunsets. 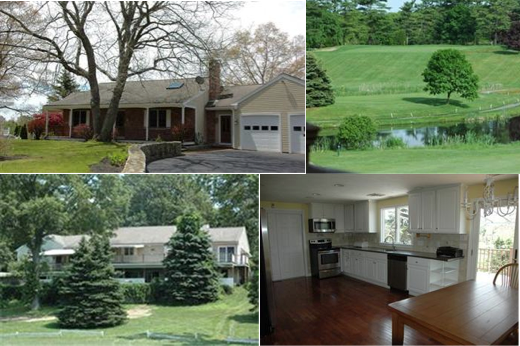 Spectacular golf course views of ponds in the backyard overlooking 18th fairway at Lakeville Country Club! Contact Diana Dority or Castles Unlimited to find your dream home!